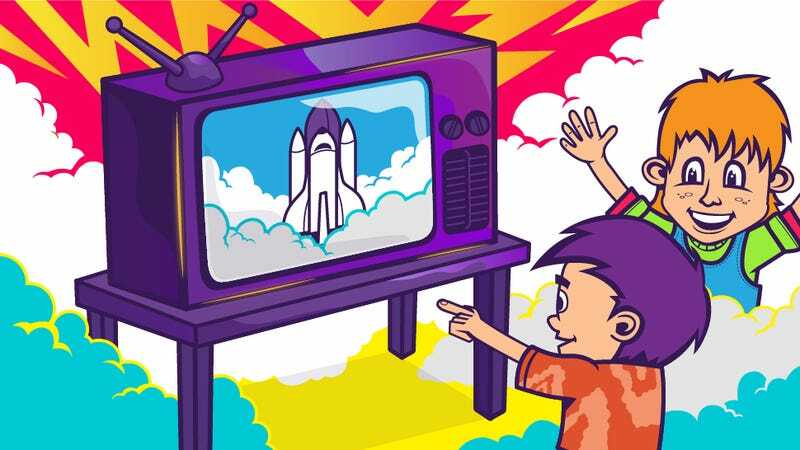 On the morning of January 28, 1986, millions of people across the U.S., including hoards of schoolchildren, fixed their attention on CNN (a newfangled, round-the-clock cable TV news channel) in eager anticipation of the Space Shuttle Challenger launch. Though the Challengerhad already completed nine successful missions, this one was different — the crew of seven included Christa McAuliffe, a teacher from Concord, New Hampshire. Confidence was high. The Space Shuttle was NASA's flagship program and a symbol of American technological prowess in the midst of the Cold War, each mission adding to the sense that the U.S. had solved the problem of how to get a reusable spacecraft — and its crew — into low-earth orbit and back safely. In fact, as National Geographic Channel's three-night event The ‘80s: The Decade That Made Us (tonight is night three) explains, such was the success of the program that some Americans were becoming complacent about the Space Shuttle. Questions were being asked about the value of the program. Launches had become routine, uninteresting, and expensive, as far as some commentators were concerned. Selected from among 11,000 candidates, Christa McAuliffe was a prominent figure in the pre-launch publicity. Public education was a topic of heated debate at that time, and McAuliffe's participation in the flagship Shuttle program was intended — at least in part — to generate some positive PR for the education system. When Challenger lifted off, those watching in classrooms across America could feel for a moment that someone from their world was participating in the Shuttle program. 73 seconds later , that confidence was shattered. And, along with it, public perception of NASA's invincibility. In some schools, the television sets were quickly turned off. In others, teachers and students cried together. Without doubt, the Challenger disaster was a defining moment in American history. NASA was the agency that had brought man to the moon and back safely. NASA continually defined — and redefined — the boundaries of manned and unmanned exploration through the solar system and beyond. Although astronauts had died in tragic circumstances in the past, none had been lost in flight. "We've never had a tragedy like this," said President Ronald Reagan when he addressed the nation that night. Was Challenger an example of overextended ambition? Perhaps. The Rogers Commission formed to investigate the disaster blamed cascading systems failure and concluded that the system had been pushed too far. Whether the desire to launch so many Shuttle missions was driven by Cold War competitiveness or complacency about the capabilities of 1980s technology, we may never know for sure. The Shuttle program resumed two and a half years later with Discovery. But things would never be the same, and the Shuttle program ended in 2011. Today, commercial space companies supply the International Space Station. And the commercial space industry is developing its own reusable launch vehicles, planning the best way to mine asteroids, and working out how to transport adventurous tourists to space hotels. This couldn't have been achieved without the crew of Space Shuttle Challenger. In a portion of his TV address directed specifically to schoolchildren, President Reagan tried to explain: "I know it's hard to understand but painful things like this sometimes happen. It's all part of the process of exploration and discovery […] The future doesn't belong to the faint-hearted. It belongs to the brave. The Challenger crew was pulling us into the future and we will continue to follow." Tune in to the National Geographic Channel tonight at 8 PM to see the story behind Space Shuttle Challenger and other ‘80s events that affect us today in the final night of the three-night event The ‘80s: The Decade That Made Us. Emmet Cole is an Austin-based freelance science writer, specializing in emerging robotics technologies and space exploration.